KnowAtom's ready-to-use STEM curriculum helped this school district turn their classrooms into laboratories and their students into scientists and engineers. 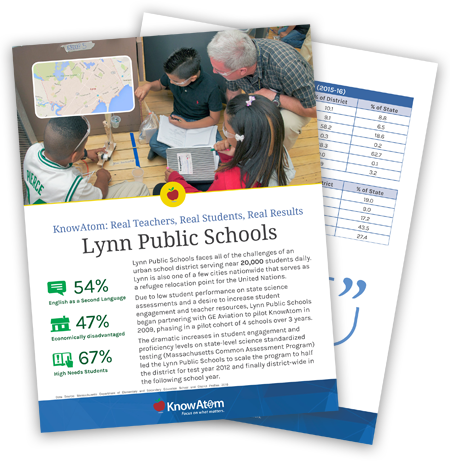 Download this case study to see an in-depth analysis of KnowAtom in Lynn Public Schools, an urban district in Massachusetts. This report shows where they started and how they succeeded with STEM curriculum from KnowAtom. Simply fill out the form on the right to download now.